Click images above to see larger versions. 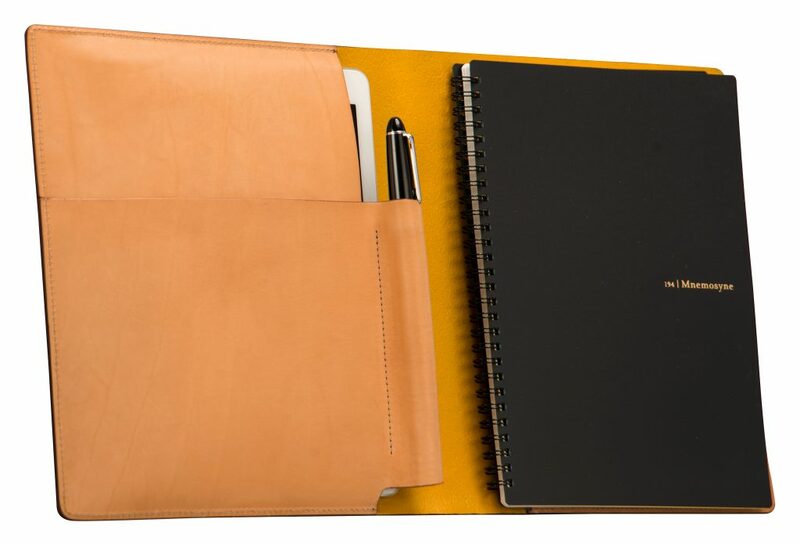 Protect your iPad®, pen and notebook with natural leather Meeting Journal Covers; $400. 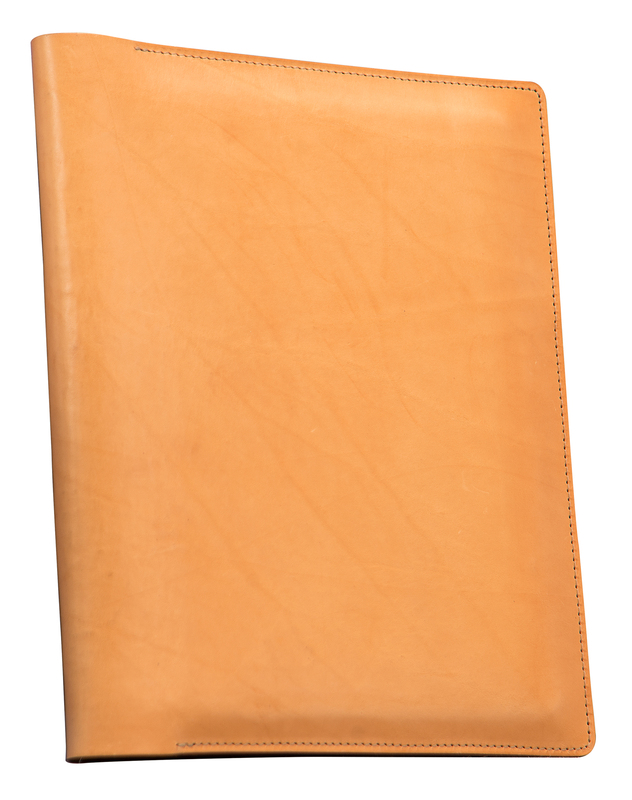 Our leather covers will gradually, naturally acquire a saddle-brown patina; the hand-colored interior is colorfast.